RAPTOR Inc. is a 501(c)(3) non-profit organization with the proper state and federal permits required to care for, exhibit, and handle birds of prey. We rely on the generosity of our supporters to carry out our mission because we do not receive any tax support or public funds. Donations help us purchase needed items such as food, medical supplies, and maintenance equipment. We greatly appreciate our supporters. What can YOU do to support RAPTOR Inc? Would you like to do more to support raptor conservation? Here are a few easy things you can do to support RAPTOR Inc.’s mission to conserve birds of prey through rehabilitation, education, and community service. Support RAPTOR Inc. directly. There are many ways to support RAPTOR Inc. directly. Make a cash or stock donation, become a member, sponsor/adopt a raptor, purchase our merchandise, schedule a tour or educational program, or volunteer your time. We offer some great incentives for our different forms of support. Enroll in Giving Assistant. Giving Assistant’s mission is to transform the everyday shopping of millions of people into charitable action. Go to https://givingassistant.org/ and designate RAPTOR Inc. as your chosen charity and RAPTOR Inc. will receive up to 8% of the amount of your purchases! Enroll in Kroger Community Rewards. The Kroger Community Rewards Program is a great way to support RAPTOR Inc. just by going about your daily life. Go to www.krogercommunityrewards.com to enroll using our NPO #82506. Enroll in Remke Market Caring Neighbor Program. Go to www.remkes.com . Designate RAPTOR Inc. as your chosen charity and RAPTOR Inc. will receive up to 2% of the amount of your purchases. Shop at AmazonSmile. When you shop at AmazonSmile using the link below, Amazon donates 0.5% of the purchase price to Raptor Inc. Bookmark the link http://smile.amazon.com/ch/31-0955114 and support us every time you shop. Purchase books from the Lyndsay and Lainey Lion Adventure Book series. 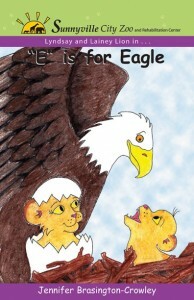 The author/illustrator, Jennifer Brasington-Crowley, generously donates nearly 50% of the proceeds to support RAPTOR Inc. Additional information can be found at http://raptorinc.org/learn-2/sunnyville-zoo/ . Inspire others to join you! RAPTOR Inc. is a 501(c)3 charitable organization. All donations are tax deductible. For more information or to schedule a program, contact us at (513) 825-3325 or [mailto email=raptor@raptorinc.org].